Educated at Bergen National Academy of Art and Design, the Oslo School of Architecture and Design, and the Politecnico di Milano, Ingrid Aspen is a freelance furniture and product designer based in Oslo. After a year as junior designer at Andreas Engesvik’s studio, she was recruited as in-house interior architect for the Oslo headquarters of the Norwegian Tax Administration in 2013. Today, she works on a broad range of projects, spanning product design, furniture, interiors and television, typically demonstrating her love of colour and passion for handicrafts in her designs. 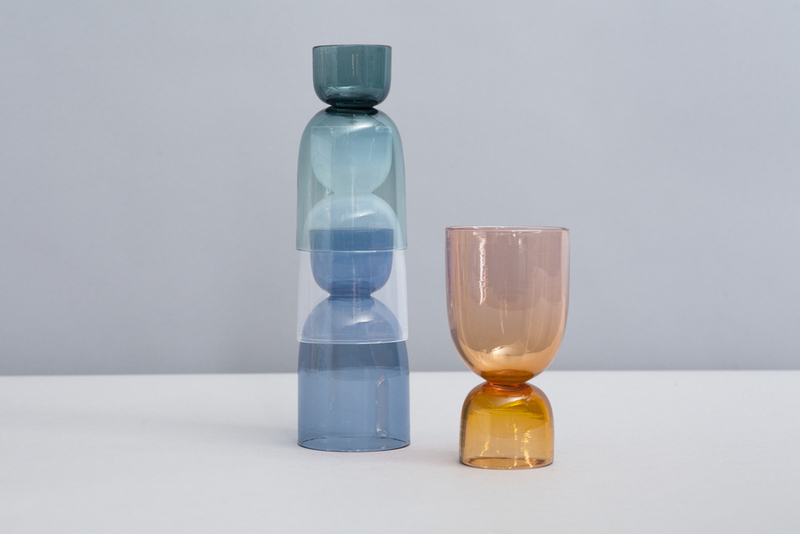 Aspen is presenting prototypes of her Bottoms Up glassware range, comprising a set of stackable drinking glasses and a carafe. 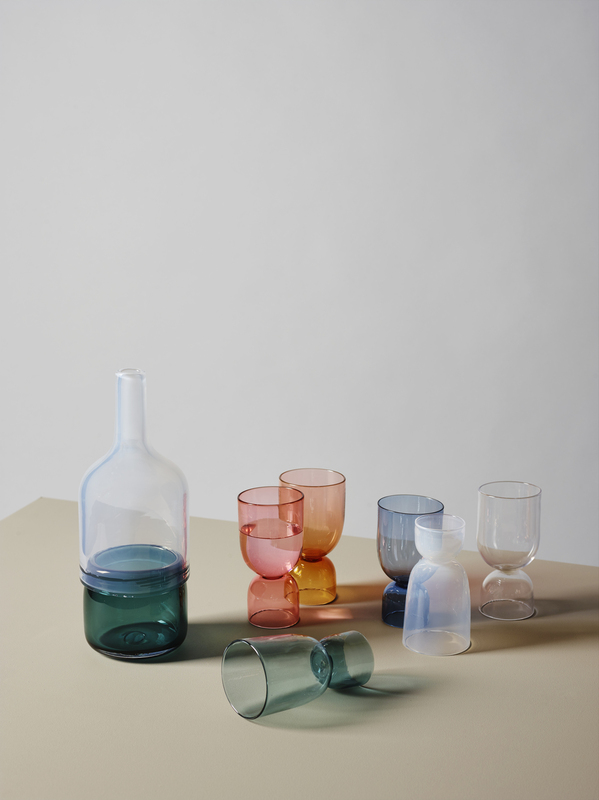 Bringing Scandinavian simplicity to the Italian lifestyle, the glasses are intended to introduce a playful note of celebration into everyday life. The range eliminates the traditional wineglass stem and, upside down, the base becomes the ideal vessel for a nightcap. The accompanying carafe is a riff on the shape of a wine bottle. Made without the use of adhesives, the range pushes the possibilities of modern glassblowing techniques.